Try pronouncing triakisoctehedron and triakisicoosahedron. 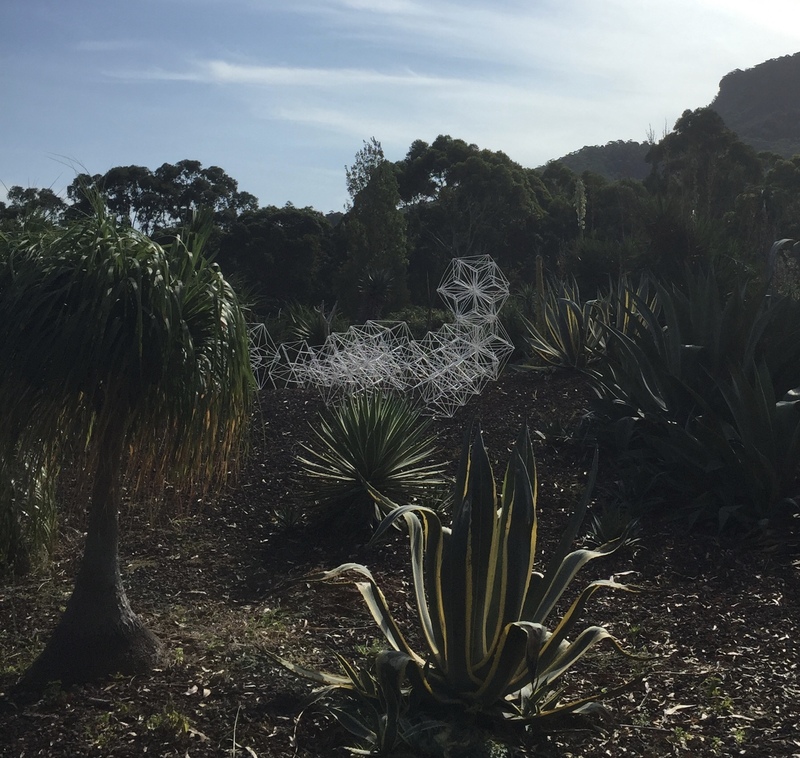 Check out these gorgeous geometric formations by Sharnie Shield, derived she explains “from the red native flowers in the Wollongong Botanic Gardens”. I bumped into the lovely Sharnie whilst perambulating around the grounds and chatted with her as she repaired one of the many forms she has on show. 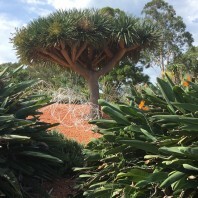 They’re made of simple straws and elastic and look absolutely enchanting in the succulent garden. 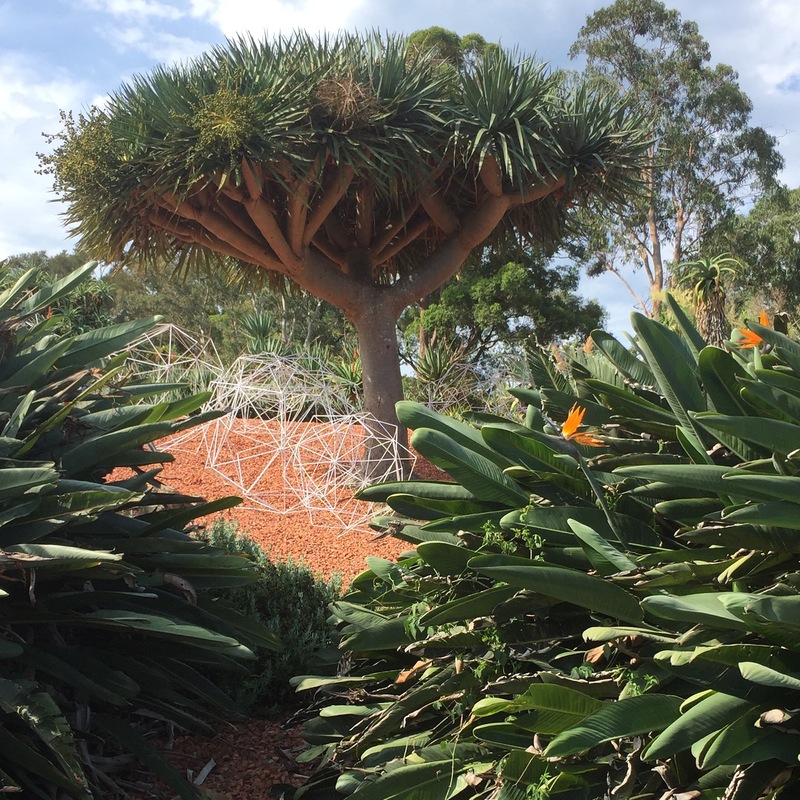 She has creates “hybrid botanical versions of the triakisoctehedron and triakisicoosahedron” and they’re part of Sculpture in the Garden at the Wollongong Botanic Garden on show until April 10. Get thee there and enjoy!